With book prices very high, and a reading culture rapidly diminishing and being replaced by Facebook, more and more Papua New Guineans are turning to second-hand bookshops. Shadric Sandari , 19, (that's him obscured, with the red shirt and army cap while the second-hand shop attendant Eniston Garry shows off the range of books at Waigani Clothes Mart ), from Wabag in Enga and a Grade 12 student at Gerehu Secondary School, is one of those who frequent second-hand shops for their supply of books. He was checking out books at the Waigani Clothes Mart on Wednesday when I caught up with him. “The books which you can buy here, including those by some very well-known authors, are very low in price as compared to regular bookshops,” he tells me. “It’s very cheap so some of us can buy here. Sandari said his parents were strong Christians, who discouraged their children from watching television and Face book, so he and his siblings read a lot. “Our parents don’t allow us to watch TV and all that stuff so we read a lot,” he said. “I think Facebook is affecting a lot of kids in their studies. “My dad’s a real estate worker while my mum stays at home. “We used to live in Wewak before coming here. A young man who makes his living by selling pineapples in Port Moresby has called on young people like him to earn money from an honest day’s work, and not from crime. Osley Kila, 22, of mixed Central and Gulf parentage, said this while selling the fruits of his labour outside the Big Rooster shop outside Waigani on Wednesday. “I live at Laloki where I grow pineapples, and when they are ready, I harvest them and bring to the city to sell,” he said. Kila said he mainly sold his pineapples outside Vision City, Waigani, Boroko, and in Downtown. ‘On good days I make good sales, and other times, no,” he said. “I make K150-K200 on good days, and on slow days, I only make up to K100. “I urge other young people like me not to get into trouble, grow and sell fruits and vegetables like me, do something worthwhile to earn a living. Minister of Papua New Guinea Peter O'Neill has condemned the tragic loss of life that has occurred in the series of terror-related incidents in France over recent days. He has further conveyed heartfelt sympathy on behalf of the people of Papua New Guinea to the people of France at this difficult time. "We are shocked and saddened by the attack that occurred in Paris on Wednesday that was followed by hostage situations overnight," O'Neill said. "In a world that today seems so full of violence, the thoughts and prayers of Papua New Guineans are with the families of the victims of these attacks, and with the French people at this time of distress and deep sadness." The Prime Minister said the attack at the start of the crisis on the office of the magazine Charlie Hebdo was particularly alarming and had deep implications for freedom of expression around the world. "I know our media fraternity in Papua New Guinea will be acutely aware of this horrific attack, and will lament the tragic loss of their international colleagues. "Free speech underpins our way of life in free countries. "These are terrible and callous acts of violence and we hope that perpetrators who remain at large are brought to justice as soon as is possible." A court in Papua New Guinea has postponed a tribunal into alleged misconduct by prime minister Peter O'Neill until after the Supreme Court rules on whether the correct steps were taken to set up the tribunal. Mr O'Neill, who was due to face a leadership tribunal on January 26, is accused of bypassing proper procedures to secure a $1.3 billion loan from UBS bank to buy Oil Search shares for the PNG government. His legal team, led by Queensland QC Mal Varitimos, argued that the public prosecutor exceeded his powers in the way he referred the matter for tribunal and therefore the tribunal has no jurisdiction. "I conclude that, yes, the questions should be referred to the Supreme Court," Justice David Cannings said. "Indeed I am obliged to refer them." A leadership tribunal is an ad hoc body that has the power to dismiss, suspend or fine leaders found guilty of misconduct. Several members of parliament were referred to leadership tribunals without challenge last year. In Mr O'Neill's case, the public prosecutor requested more information from the ombudsman and subsequently changed the allegations of misconduct. Justice Cannings ordered an interim injunction on the tribunal while the Supreme Court considers whether the public prosecutor's actions were constitutional. The leadership tribunal is separate to accusations of official corruption against the prime minister. Mr O'Neill was served with an arrest warrant in June in relation to a fraud case by the country's anti-corruption body. He is also challenging those allegations in court. The former Australian colony of Papua New Guinea has become an increasingly important ally for Canberra, hosting the Manus Island asylum seeker detention centre and receiving $517 million in aid this year. Click the text above to donate to Amnesty International. 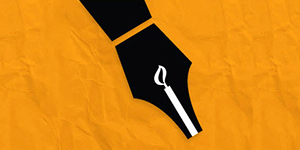 Show your commitment to human rights and solidarity with prisoners of conscience. 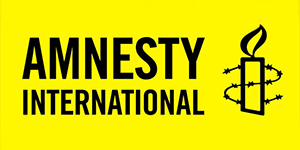 Join Amnesty International's efforts to increase the visibility of Amnesty International's human rights message. Share this story if you’d like to elevate awareness on this issue, one of the few remaining witch hunts on Earth. And if this is something that you would like to personally have a hand in fixing, consider making a donation to Amnesty International. They’re working in the area to bring an end to the practice, but they need the funds to do so. Also, let us know in the comments section if we should be taking a more proactive role in ending this alarming practice. With the rare exception of anti-Harry Potter crusaders, fear of witchcraft isn’t exactly on the radar of most westerners. If you’re a farmer in California, you might even dabble in it to save your harvest from drought. But on the island of New Guinea, the unexpected often turns up — and it can be deadly. Unlike the pro surfers that went hunting for untouched waves in West Papua and found a government-waged genocide instead, the growing crisis in Papua New Guinea centers on self-inflicted violent witch hunts within the nation’s rural citizenry. Men and woman alike have fallen victim to these attacks, though women are the more common victims in one of the most-violent places for females in the world. A Doctors Without Borders (MSF) report found that 67% of women in PNG said that they had been beaten by a spouse. Anton Lutz, a Lutheran missionary working in PNG’s problematic highlands, claims that at least two dozen women have been killed in the past few years over accusations of witchcraft and evil sorcery. In the Simbu region alone, roughly 150 attacks take place annually, leaving up to a third of the region’s population displaced. For places that require a plane ride and several days of hiking to reach, addressing this small but pressing refugee crisis has proved nearly impossible. That law wasn’t overturned until May of 2013, when witch hunt killings were also made punishable by death. It was a step in the right direction, but it didn’t actually address the root causes of these attacks, which remain unaddressed. Most of PNG’s population, some 80%, live outside of urban centres. But instead of seeing their acts as primitive savagery, they should instead be understood as a consequence of things that affect much of the rural developing world: a dire lack of access to education and healthcare. In an interview with Vice, missionary Franco Zocca said, “When you say sorcery-related killings, people — 95% — think other people were killed by sorcerers. "The mentality is always that nobody dies for nothing. With poor education, many simply don’t understand the science behind medical issues that befall humans naturally. Blaming some vague evil concocted by other people, particularly those living on the fringes of their communities, then becomes the only viable explanation. What is worst about all of this is the simple fact that it could remedied with greater access to basic healthcare. Fewer people ailing and dying would mean less cause to blame witchcraft and sorcery. Fixing these core issues would require that a portion of the wealth from the nation’s unprecedented mining boom be doled out to its impoverished rural residents. As we’ve seen in so much of the developing world, that just hasn’t been the case. A Singaporean businessman was found dead at his home in Papua New Guinea on Sunday - and police there believe he may have been murdered. Mr Tan Tiam Teng, 69, managing director of Morobe Stationery, was discovered with a wound to his neck. It is believed he could have been attacked with a sharp object and left to bleed to death. On Tuesday night, his son, Mr Tan Sio Wei, left Singapore for Papua New Guinea and was scheduled to arrive in Lae on Wednesday to identify his body. He was informed about the death on Sunday and told The Straits Times: "Police said he could have been murdered, that's why I can't comment on the case." The Singapore Ministry of Foreign Affairs said it was aware of the case and is in touch with the deceased's family. Mr Tan, a businessman based in Singapore, said he and his three sisters are keeping the news from their elderly mother. The late Mr Tan was supposed to travel to the country's capital, Port Moresby, on Sunday afternoon. He was discovered dead by his driver, who called the police after noticing that the fly-wire mesh covering the back door to his apartment had been ripped off. Police had difficulty entering the house and a locksmith was called to open the door. They told reporters that the deceased was home alone when he was attacked from behind with a sharp object and left to bleed to death. Mr Tan said his father lived with an employee who was apparently not at home when the attack took place. Mr Tan said his father had been based in Papua New Guinea for more than 20 years, though his family remained in Singapore. He lived in a high-security residential area in Hibiscus Avenue in Eriku, a suburb in the industrial city of Lae. His company - which supplies school and office stationery, sports equipment, trophies and furniture - was also located in Lae, in Morobe Province. The incident is one of five killings in the city this year, including the shooting of a woman on New Year's Day. Traditional Baining fire dancers in Papua New Guinea. Photo courtesy of WikiCommons. Following reports last year of women and children fleeing torture and immolation by witch hunters in Papua New Guinea, yesterday a government worker in the remote Western Highlands province admitted that the region has a sorcery refugee problem on its hands. Belief in sorcery is common and longstanding across Papua New Guinea, especially amongst the 80 percent of the seven-million-strong country who still live in rural villages. In 1971, rather than combat or deny these beliefs, the local government passed the Sorcery Act legalising "white" (good) magic and criminalising "black" (harmful) witchcraft to encourage locals to resolve their disputes with alleged sorcerers in court rather than via ad hoc accused lynch mobs. But the killings never really stopped. And back in 2008 they started to become more common and gory, capturing international attention in February 2013 with the brutal public execution of a 20-year-old mother named Kepari Leniata. Despite efforts by the Papuan government to contain them, attacks against vulnerable men and women occur to this day. In an effort to understand this crisis, VICE reached out to Father Franco Zocca, a long-serving clergyman and scholar in Goroka in the Eastern Highlands Province . The director of the local Melanesian Institute , a cultural research center helping churches, governments, and non-governmental organizations understand and react to regional needs, Zocca has spent much of the past few decades researching and writing extensively on sorcery in rural Papuan society. Over a spotty phone line, Zocca held forth on the role of economic displacement, cultural shifts, and weak governance in seeding and spreading the current witchcraft-related killings and migrations. VICE: Why are sorcery killings getting so common and violent in Papua New Guinea? Father Franco Zocca: When you say sorcery-related killings, people—95 percent—think other people were killed by sorcerers. The mentality is always that nobody dies for nothing. There is always a who—either a spirit of somebody or a magician—behind the death. The problem of this physical killing of the sorcerers is most prominent in the highlands, especially in Simbu among the Kuman speakers . In the other highlands [this violent torture killing wasn't as practiced], but this pattern now is spreading because the Simbu people... because of the poverty of their region, they are spreading around and they are bringing that pattern of accusation, torture, and killing that they did for centuries in their own places. Some anthropologists, they think that in the past people tended to accuse the spirit of the ancestors. They say that now modern education and missionaries have taken away the fear of the ancestors so now (because the people are not satisfied with knowing the natural causes of sickness) they tend to accuse human beings—living people. [In] many cases people are using this mentality to get rid of people they want to get rid [of]. People, they wanted to punish them for some reason and then they accuse them of sorcery. So part of it has to do with the migration of particular groups that have a history of this style of killing, and part of it has to do with people who just want to settle vendettas? Yes. Also in our research into the cases that appeared over those last six years, we found that even if accusations happened in, say, Port Moresby [the capital], Simbu people were very important [in them]. The accused have to leave and now they're living in settlements there. One former bishop who was for 50 years a Catholic bishop in Simbu—he reckoned that one-third of the population of Simbu is displaced because of accusations or fears of sorcery. So you find those people in the settlements everywhere and they still keep that kind of mindset. Some people think the increased violence in the murders has more to do with the spread of drugs and home brew [moonshine] than economic displacement. Do you think there's any truth to that?The accusation comes from elders usually, but the violence is always done by young people—sometimes under the influence of alcohol or marijuana or something like that. There is no work for them. Every year tens of thousands of people are kicked out of the system because it is very selective. Many people, they don't go to school, and even those who finish don't find a job. So there is a lot of frustration. These people are using something that wasn't around in the past—marijuana or alcohol were not around in the past, you know. Some reports say these aren't ad hoc killings any more, but that these young people are now permanent witch hunting gangs. Is that true? It could be, but in my research I didn't really find gangs going out and killing the sorcerers, because they're always people from the home of the accused. For the police, a part of [the problem] is they are afraid to deal with sorcery. But apart form that there are no witnesses. Nobody wants to talk. It's very much the locals who are doing it with the collusion of the whole community. You say this is displacing a lot of people. What will happen to these communities when a third of the population is running from sorcery accusations? There are consequences. In the villages we really suffer now from the lack of leaders. The leaders in the highlands in the past, they were warriors. Tribal fighters have diminished during the years. But there is also a lack of leaders because the ones who are clever, they used to move to town... [in part] because they are afraid to be struck [by sorcery]. They always say this sorcery is triggered by jealousy—envy. So if you become too successful, you're in danger to be struck by the sorcerer. In the highlands, this fear is paralysing the economy. The government has tried to deter witch-hunts by repealing the 1976 Sorcery Act, which witch hunters used to defend their actions in court, and by reinstating capital punishment [out of use since 1954]. But it doesn't seem to be having a great effect... The government, yeah, they repealed the law under the pressure of the international media, but without much conviction. You cannot change a cultural mentality like that just by repealing a law. To change the mentality—to accept natural causes of death over spiritual ones—would stop this. It happened also in Europe. We killed lots of witches in the Middle Ages, and then finally we accepted the natural causes of sickness and death. Then witch hunting stopped. In the case of Europe, it took many, many years and gradual change for people to stop hunting witches. But in a place like Papua New Guinea it seems like there's a lot of damage that could happen if people just leave it to sort itself out over that long. Exactly, and that's why the churches have to stop giving credit to this kind of thing, because that's part of the problem. They are people possessed by evil spirits. They say things like that. The people possessed in the time of Jesus, they were sick people. That was a way of explaining sickness, but we still find a lot of churches today that enforce those kinds of beliefs. For me, it's more a matter of education than other things. What do you think is the best hope for bringing education like that out to remote regions? Increase the education and bring a good health system. Our health is terrible here, especially in the villages. A lot of med centers are closed down. No doctors want to serve in the rural areas. The government is happy, because instead of accusing the system, [people] are accusing each other. What would make it easier for police to intervene, or for people to report witch hunts to help solve this in the short-term? We don't have many policemen. We only have 7,000 for the whole country. In my research, in [one area] in Simbu, there was only one policeman for those cases of sorcery. They don't have cars. They don't have fuel. Often they are people from the same region. They are themselves very, very afraid of sorcery. My team here, the local research team, they always refuse to interview the sorcerers—the old ladies who survive—because they are afraid too. InterOil (NYSE:IOC) reached a new 52-week low during trading on Wednesday , Stock Ratings News reports. The stock traded as low as $42.63 and last traded at $42.97, with a volume of 461,196 shares changing hands. The stock had previously closed at $44.52. A number of analysts have recently weighed in on IOC shares. Analysts at Zacks upgraded shares of InterOil from a “neutral” rating to an “outperform” rating in a research note on Wednesday, December 24. They now have a $54.10 price target on the stock. Separately, analysts at Goldman Sachs initiated coverage on shares of InterOil in a research note on Thursday, December 18. They set a “buy” rating and a $69.50 price target on the stock. One equities research analyst has rated the stock with a hold rating and four have issued a buy rating to the stock. InterOil presently has a consensus rating of “Buy” and an average target price of $70.90. The stock has a 50-day moving average of $52.34 and a 200-day moving average of $55.93. The company has a market cap of $2.120 billion and a price-to-earnings ratio of 6.71. InterOil (NYSE:IOC) last released its earnings data on Friday, November 14. The company reported ($0.34) EPS for the quarter, beating the Thomson Reuters consensus estimate of ($0.51) by $0.17. The company had revenue of $10.75 million for the quarter, compared to the consensus estimate of $308.00 million. During the same quarter in the prior year, the company posted ($0.13) earnings per share. The company’s quarterly revenue was down 98.3% on a year-over-year basis. Analysts expect that InterOil will post $-1.62 EPS for the current fiscal year. InterOil Corporation (NYSE:IOC) is an integrated energy company operating in Papua New Guinea and the surrounding Southwest Pacific region. Dr Moses Laman, who has been undertaking a PhD at The University of Western Australia, is the lead author of a study published in the prestigious journal PLoS Medicine. The study - which is the main topic of his thesis - outlines an important clinical trial of a new combination treatment for malaria. Dr Laman said since malaria parasites developed resistance to chloroquine years ago, the race had been on to find new ways of beating the disease. Combination treatments using artemisinin (originally extracted from the wormwood plant) or its derivatives and longer-acting chloroquine-like drugs such as piperaquine or lumefantrine had been found to be effective but not 100 per cent so. Dr Laman said in PNG and in many other countries there were different types of malaria, which further complicated treatment regimes. The most dangerous form was falciparum while the least dangerous was vivax. Both affected children, who bore the brunt of the disease. Dr Laman said he and his colleagues, including his supervisor Professor Tim Davis, decided to test the efficacy of the currently recommended treatment, artemether-lumefantrine, against that of the novel combination artemisinin-naphthoquine. They recruited 250 PNG children aged from six months to five years who had fevers related to one or other kinds of malaria but did not have serious symptoms. Half of the children were given artemisinin-naphthoquine, but the researchers ignored the manufacturer's guidelines which suggested using it in a single one-day dose and instead gave it over three days as recommended by WHO, while closely monitoring the children's health and following up on their progress six months later. They found that artemisinin-naphthoquine over three days was not only safe but was a far better treatment than artemether-lumefantrine for vivax malaria, with 100 per cent of the children free of infection after treatment. The researchers also found it was as good as artemether-lumefantrine for the potentially deadly falciparum malaria. Dr Laman was supported by an AusAid scholarship and the trial was funded through an NHMRC project grant. "Dr Laman has an impressive CV (including a Third World Academy of Science young affiliate award) and his work is an excellent example of a longstanding and productive collaboration between UWA School of Medicine and Pharmacology and the PNG Institute of Medical Research," Professor Davis said. ​Papua New Guinea cricketer Lega Siaka has been named in the Australian Prime Minister’s XI for the annual one-day match next week. Siaka, 22, will become just the fifth overseas player to represent the PM’s XI when he takes the field against England at Canberra’s Manuka Oval on January 14. Australian Prime Minister Tony Abbott and Cricket Australia’s National Selection Panel announced the side on Monday. The squad contains past and present Australian international representatives and a number of the country’s rising stars. Former Australian international Mike Hussey will captain the side, which also includes New South Wales speedster Pat Cummins and Victorian all-rounder Glenn Maxwell. Siaka’s selection is an exciting opportunity for the emerging talent and highlights the continuing development of cricket in Papua New Guinea. A right-handed top-order batsman and leg-spin bowler, Siaka is rookie-listed at the Melbourne Renegades for this season and is playing for Victorian Premier Cricket club Essendon. In Papua New Guinea’s inaugural ODI series against Hong Kong in Townsville in November last year, he scored 109 in the second match of the two-game series. CA National Selection Panel chairman Rod Marsh said Siaka’s selection for the Prime Minister’s XI match was exciting. “This match is a special fixture on the Australian cricketing calendar and a magnificent tradition,” he said. “We are also excited about 22 year old batsman Lega Siaka, contracted to the Melbourne Renegades in the KFC T20 Big Bash League. “Lega scored a century for Papua New Guinea in their first ever one-day international series in November when they defeated Hong Kong, and he is a confident young batsman who will excite the fans. Cricket PNG General Manager Greg Campbell, himself a former Australian international, was equally thrilled with Siaka’s selection. “2014 was a big year for PNG cricket,” he said. Lawyers for Papua New Guinea's prime minister Peter O'Neill will question the jurisdiction of a tribunal set up to investigate allegations of misconduct in office. Mr O'Neill is accused of bypassing proper procedures to secure a $1.3 billion loan from the Australian branch of UBS Investment Bank to buy Oil Search shares for the PNG government. He initially welcomed the tribunal as a chance to clear his name but has since mounted legal challenges against proceedings. Justice David Cannings on Tuesday upheld a move by Mr O'Neill's legal team to have the three leadership tribunal judges made a party to a National Court case currently involving the prime minister. The inclusion of the judges - from PNG, Australia and New Zealand - would reduce the "multiplicity of cases" related to the controversial government loan, Justice Cannings said. The case is part of a wider challenge by the prime minister over whether public prosecutor Pondros Kaluwin has the power to refer him to the leadership tribunal. "My client is insisting that the public prosecutor did not properly exercise his constitutional power," Queensland QC Mal Varitimos said. Mr O'Neill, who is due to face the tribunal on January 26, has denied wrongdoing. He said the loan was approved by the cabinet-like national executive council and was in the best interests of Papua New Guinea. His lawyers argue that the tribunal should not sit until other constitutional matters regarding the UBS loan are resolved in separate cases. They are seeking a stay on the tribunal hearing and an interim injunction against the public prosecutor. Lawyers for the public prosecutor argue that the challenge is an attempt to frustrate the work of the tribunal. The National Court will resume on Wednesday to hear submissions from the prime minister, the public prosecutor and the tribunal judges. Four members of parliament were referred to leadership tribunals in 2014. 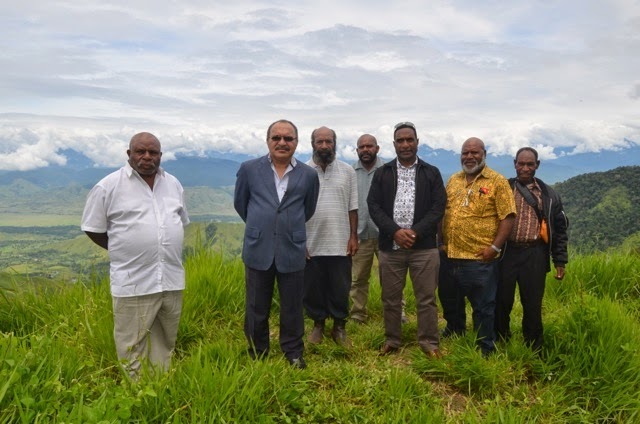 Prime Minister Peter O’Neill says immediate action is needed to repair sections of the Highlands Highway and to have a proper design and construction approach for the length of the highway. 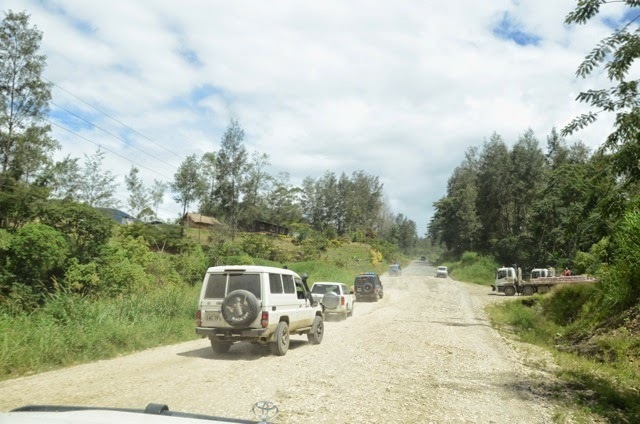 He said the National Executive Council would discuss declaring emergency and call-out for the Papua New Guinea Defence Force Engineering Battalion to make urgent road repairs and upgrades. O’Neill made the announcement during an unannounced personal inspection of the highway from Mendi to Lae over the first weekend of the New Year. He has further issued a stern warning to contractors to do their job properly or face legal consequences. “The time for talk is over, we have had enough consultation and negotiation and people who use the highway expect action,” O’Neill said after the inspection. “I have seen with my own eyes the problems that continue to undermine the movement of people and goods along the Highlands Highway. “I am extremely disappointed that critical sections of the road are not maintained and this needs to be addressed immediately. “We have now identified a series of problems and contractors are being ordered to get repairs done immediately. “Where contractors cannot or will not take action the government will deal with them through legal channels. O'Neill also made the point that while there were some contractors who were failing to fulfill their commitments, there were other contractors doing very good work and he commend them for their efforts. O'Neill said as part of urgent repairs, the 40-meter corridor that is mandated for the highway will be enforced, and he advised all people who have settled illegally within the corridor to move to a proper place before work starts. “The Government will always address genuine landowners with genuine claims, but we will not tolerate claims that are unnecessary and are putting the public at distress when they travel up and down the Highlands Highway. O’Neill said it was important for him to have a first-hand view and experience of the highway, and his visit took many people by surprise as he moved along the road without ceremony or fanfare. 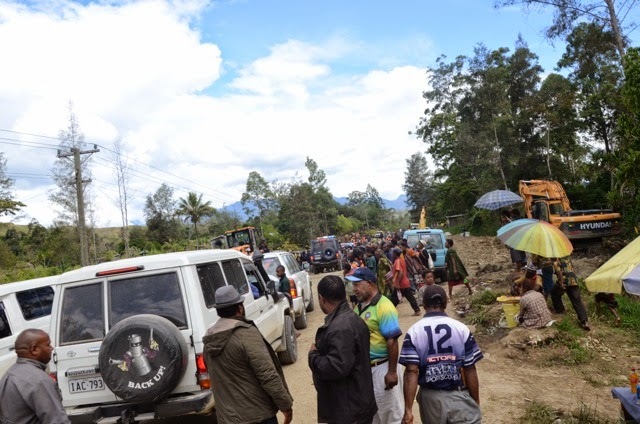 “I spoke with communities right along the Highlands Highway and heard from them the hardship people have been facing because of problems due to road maintenance. “This highway is a lifeline for so many people to trade, to seek medical help, to study and to visit relatives. “We will fix the problems along the highway and I am going to come personally every month to ensure work is carried out. Papua New Guinea is witnessing a rise in internal refugees as dozens of women accused of practising witchcraft are fleeing their villages fearing for their lives. In an interview with Radio Australia, Ruth Kissam, youth coordinator for the Western Highlands provincial government, said that witch hunts in the country are a serious problem and "a matter of national urgency. "This is something that is spreading and it is causing people to flee from their villages," she said. Kissam said the recent case of four women in a remote village in the Enga province, who are at risk of being killed after being accused of sorcery, is not an isolated episode. "People have left their villages because they know they will be killed. In a way, they are refugees. "The worst thing is that witchcraft accusations are spreading also in villages where people never believed in the existence of witches, but they are now becoming some of the worst perpetrators throughout the country." Kissam explained that the majority of people who persecute women over alleged sorcery are "young men who don't have much to do. Probably they are looking for acceptance within the society or probably they are under the influence of some substances. "Most of these men are disenfranchised and they are targeting marginalised women who cannot stand up for themselves". According to Helen Hakena, chair of the North Bougainville Human Rights Committee, witchcraft is often used as an excuse to kill somebody over jealousy. "Jealousy is causing a lot of hatred. People who are jealous of those who are doing well in life resort to what our people believe in - sorcery - to kill them." Kissam's warnings came as Anton Lutz, a Lutheran missionary in the Highlands region, told Radio Australia that at least 25 women accused of witchcraft were killed in the past 10 years among the Hewa people, who "are well known for murdering women." Lutz also explained that in many remote villages in the Highlands there are no police and killers are not prosecuted. Witch hunts have been rising in the country since 2009, when officials recorded a surge in the homicides of women accused of sorcery. In 2013, the case of a 20-year-old woman who was stripped naked, tortured and burnt alive after being accused of being a witch sparked worldwide outrage prompting the government to repeal the 1971 Sorcery Act, according to which accusations of sorcery can be used as defence in a murder trial. However, one month later, another woman was tortured and beheaded. In April 2014, six people – including two children – were murdered in Sasiko village over witchcraft accusations. A 2014 HAPPINESS poll conducted jointly by WIN/Gallup International and Tebbutt Research this year has placed Fiji at the top of its tally, ahead of 64 other countries polled. The survey took into account the views and beliefs of 64,002 people from 65 countries globally, including Fiji and Papua New Guinea. It found Fiji to be the number one country for happiness at 93 per cent. It detailed that 82 per cent of people reported saying that 2015 would be a better year than 2014, 68 per cent said 2015 would be a year of economic prosperity in Fiji and that if there was a war involving Fiji, 94 per cent of people surveyed said they would be willing to fight for their country. The Fiji survey was conducted by Tebbutt Research in December 2014 with a sample of n=1000 people aged 18 years and over nationally. "It is amazing to see that Fiji still leads the happiness index — it is true that Fiji is where happiness finds you. Fiji is outstanding when compared to global countries in terms of its optimism and confidence for the future," said Tebbutt Research principal Caz Tebbutt following the results. Tourism Fiji shared similar sentiments to Ms Tebbutt, saying that the positivity of such a ranking was great news. "Being ranked as the happiest country in the world portrays Fiji in a very positive light, especially in light of the many abysmal events (natural disasters, freak accidents and political upheavals) which have given rise to uncertainty for travellers to Fiji," said the company's global public relations manager, Patricia Mallam. "It's important to acknowledge that safety and hospitality play a key role in determining the final decision of where to go and what to do with one's leisure time. "So, if a destination has been ranked by credible independent surveyors (WIN/Global Surveyors) as one of the happiest, it would speak volumes of the nature of the people in the host country." In Papua New Guinea, an elderly couple from Okapa block at Six-Mile settle in the capital's northeast was brutally killed on New Years Day for allegedly practising sorcery. Metropolitan Superintendent Andy Bawa told the Post Courier that the murders of the couple are inhumane, unwarranted and unacceptable. He said the suspects are understood to be from the same block as the couple and investigations are being carried out. Bawa said the bodies are now at the Port Moresby General Hospital morgue. Sorcery-related killings had been frequent in the Highlands region last year but this is the time first time such killings have been reported in the capital Port Moresby. Three human bodies reportedly left in the freezer of an abandoned fishing vessel in Papua New Guinea may have been removed and replaced with three metre-long tuna, according to a journalist who accompanied police to the site. The fishing vessel was abandoned on a remote island in the far east of PNG's waters in early December and locals reported seeing three corpses "of Asian appearance" inside a freezer. But when police and government officials travelled to the site this week, they found three huge tuna on trays in the freezer, which had been damaged by fire. "The fish that were there looked like [they] had just recently been burned - you could still see blood on the fish," said Stephanie Elizah, a senior journalist working with the Autonomous Government of Bougainville's media bureau, who was part of the assessment trip. "The information doesn't add up," she said. "The young kid that went into the freezer area [initially], he noticed an ankle, it was decayed but it was still in the shape of a foot and was wrapped in black wrapper. "You're talking about a community that [has been] eating fish all their lives and they know the difference between a fish and a human body." It is unclear if the initial reports of human bodies were incorrect or if the corpses had been removed and replaced with the tuna. "No one has come up and said whether they burnt the ship or they maybe retrieved the corpses and buried [them] somewhere," Elizah said. The ship has been identified as the 48-metre Chinese-flagged Liao Yuan Yu 68. The western and central pacific fisheries commission website lists the Liao Yuan Yu 68 as a long-line tuna ship belonging to Liaoning Goldenstar Ocean Fishing Co. and licensed until March 2016. However, Tumor Boise of the national fisheries authority told the Post-Courier newspaper the vessel was unregistered and had been engaged in illegal fishing. Elizah said PNG police believed the ship made a distress call in June 2014 while in French Polynesian waters, saying there was an electrical fire on board. It is not clear how it ended up at Paona Island, an uninhabited wildlife reserve that is part of the Nuguria group of atolls, more than 200 kilometres north of Bougainville. Elizah said the upright position of the ship suggested it had not drifted aground. "It was deliberately rammed into the reef, it showed that the ship was manned when it ran into the reef," she said. She said residents of nearby islands had salvaged at least 19 200-litre drums of fuel from ship, but there are concerns fuel could leak from a separate compartment. Elizah said the ship was mostly stripped of belongings and equipment, asides from bags of rice, instant noodles and bottles of water with Hawaiian labels.